I have always strayed from using the word “privilege.” It sounds combative and has always seemed to vilify certain social movements, but I digress. Sometimes “privilege” is the only word appropriate for those who do not feel social movements apply to them. Able-bodied privilege exists, even if it is not talked about as openly as white privilege. Able-bodied privilege in its most rudimentary form is the ability to walk up stairs, to use non-accessible bathrooms, to use standard public transportation, to dress and shower independently, to be able to communicate effectively, to go to school, to work without accommodations, and to live “independently,” yet it cuts deeper still. The covert effects of able-bodied privilege is the notion that able-bodies know our bodies more than we (i.e. disabled people) do. This results in attacks on our assistive technology, assumptions about what we need, and lack of understanding of our lives. Because of this, we are called lazy for using wheelchairs or not taking the stairs and burdensome for not being what able-bodies consider to be “independent.” We also get criticized for our need for Braille or interpreters. This is where funds get cut–where people question the necessity of accommodations and accessibility. It becomes an issue of fiscal policy instead of human rights. For people like me, full independence is a mere pipe dream; while I may appear independent with my ability to walk and attend college, I cannot dress or shower myself due to weakness in the left side of my body. As a result, I have personal care attendants and I am on Medicaid for financial support (the personal care attendants cost $35 an hour). This is something many able-bodies would hope to fix. Many well-intentioned people have tried to “teach” me to put on socks or find a pair of shoes that would enable me to slip my feet in, but the problem is that I have tried these things. I have worked with occupational therapists and tried different gadgets, but there are just some things that require too much effort. My freshman year of college I attempted to shower and dress independently only to get tangled in a bra and almost slip in the shower. This, I learned from experience–experience that able-bodied people do not have. Yet, many able-bodies still feel they have the expertise and the right to comment on my lifestyle. Their comments may be well-intentioned, but they are misplaced and have an aftertaste of ableist superiority. It is important to remember that it is impossible to understand the disabled experience unless one has lived it. No disability is alike, not even for people with the same kind of disability. Some have cognitive disabilities, some have intellectual disabilities, some have physical disabilities, and some have multiple disabilities. It is impossible to know someone else’s strength and endurance. It is impossible to understand the entirety of the disabled experience. 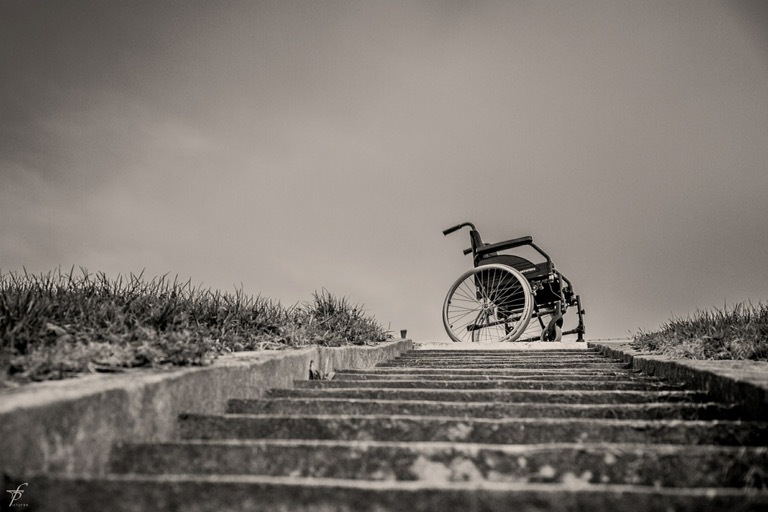 What able-bodies can do, however, is advocate for disability rights. Able-bodies can educate themselves and join organizations. They can encourage politicians to enforce accessibility laws. Able-bodies can listen to disabled people, and before they open their mouths themselves, realize that they are speaking from a place of privilege.